Where we drink our wine and the people we share it with can heighten a wine’s expression. 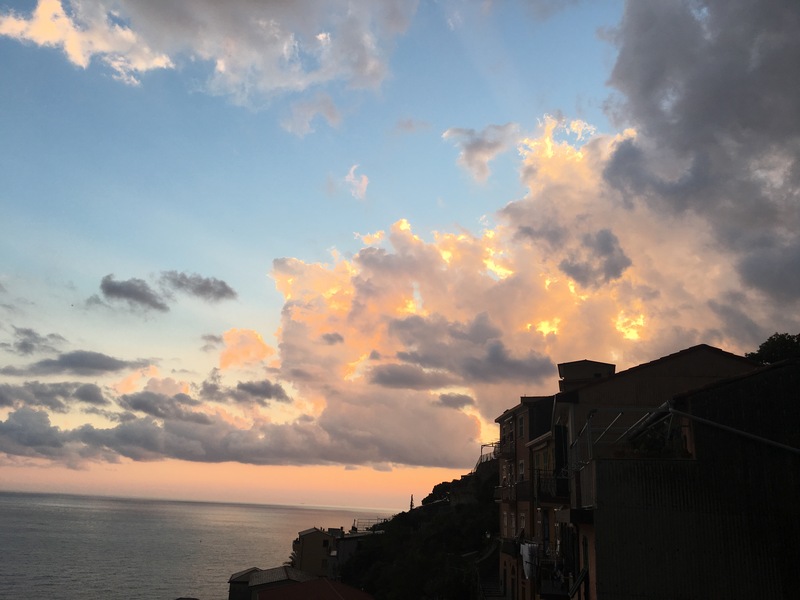 Cinque Terre Costa da’ Posa 2015. 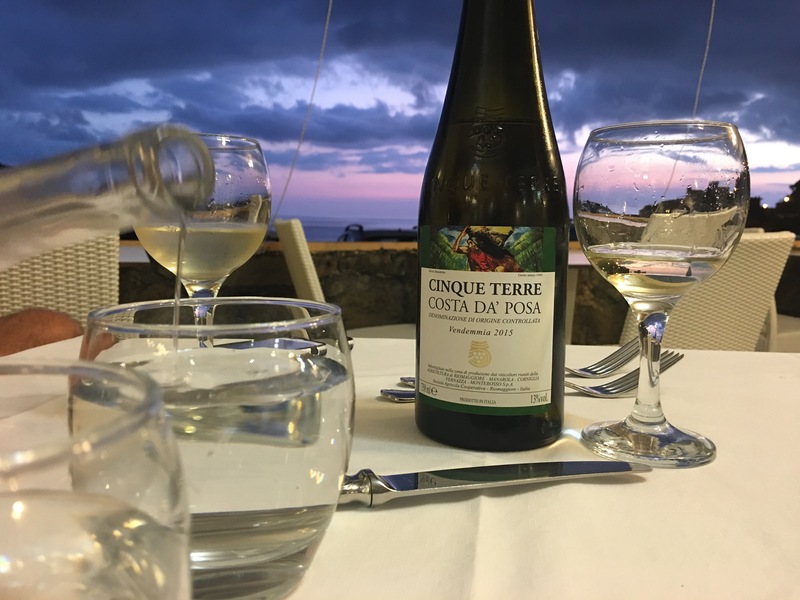 This white wine is produced from vines grown on the super steep slopes rising out of the Ligurian coast. It shares some similarities with Riesling–off dry with flavors of ripe peach and a rocky salinity. 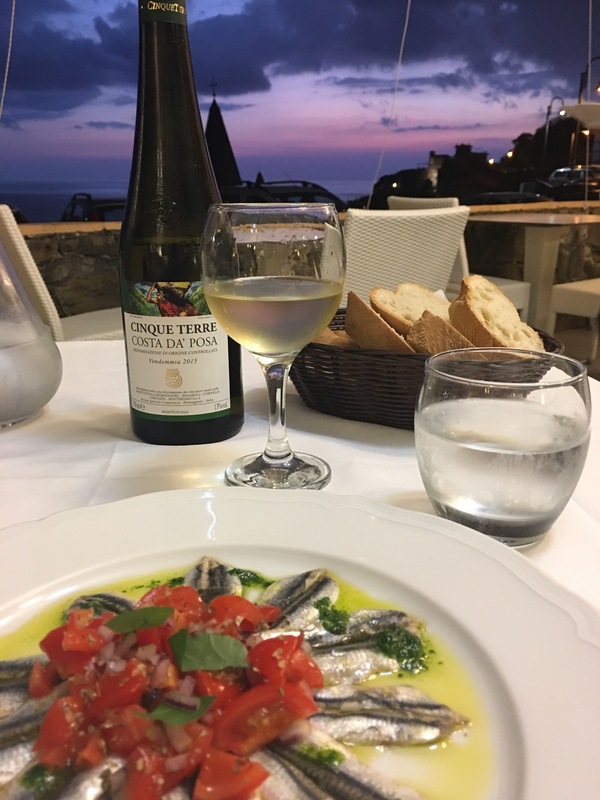 It sold for 18 Euro at the Ripa del Sole restaurant in Maggiore, 5Terre, 25 Euro at Bar Vertical, and 14 Euro at a little market on the Main Street of town. Perfect with the view and my marinated anchovies. I COME TO THE ITALIAN COAST FOR THESE LITTLE BABIES!!! I confess I ate a cone of fried calamari and anchovies this morning…for breakfast. Life is good.